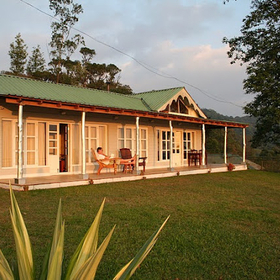 Windermere has been hallmarked for its personalized service and the stunning setting, was set as a guest facility for the plantation with just 5 rooms in 1997, and over the years we have added more rooms and facilities at the property, although we still retain our old theme of being a plantation & retreat. 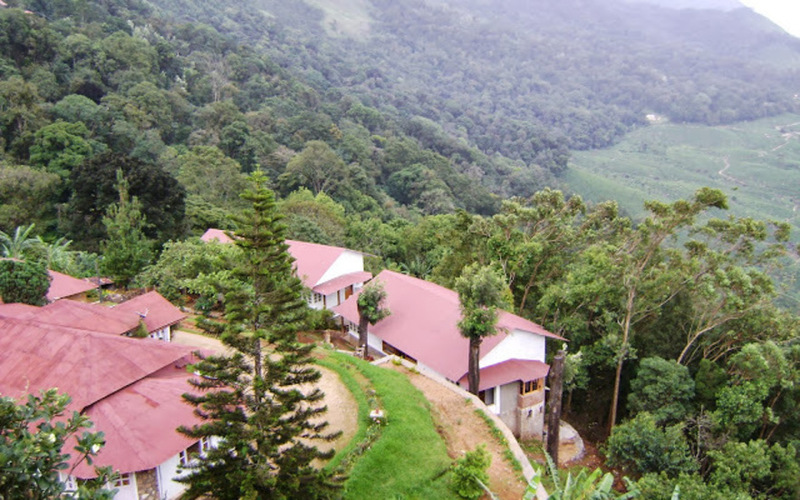 We are a cardamom & coffee plantation of 60 acres, it is where the manicured tea garden merge with the lush green forest of the Western Ghats. 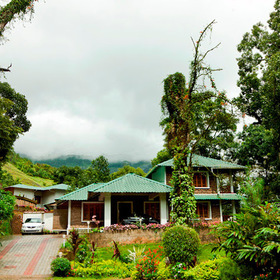 The retreat ( guest facility) is on a hillock, over looking the tea garden. 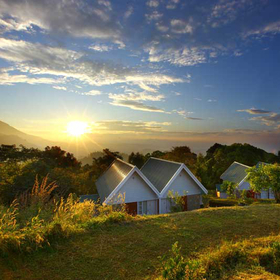 You drive in through tea plantation to enter the retreat, and the general landscape of the land is with lots of greenery, flowers and natural rock formations, and on Atop of one of those boulders (the highest point in the plantation) is a private view point, which gives a good 360 degree view of the surrounding hills, it is an ideal place in the property to see the sun rise and set. 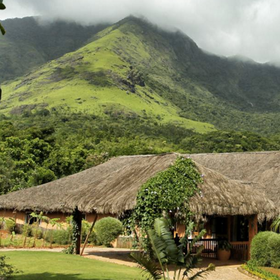 The property organizes for a trek through the plantation every afternoon, with a guide. A chance to understand the bird life and vegetation of the area. 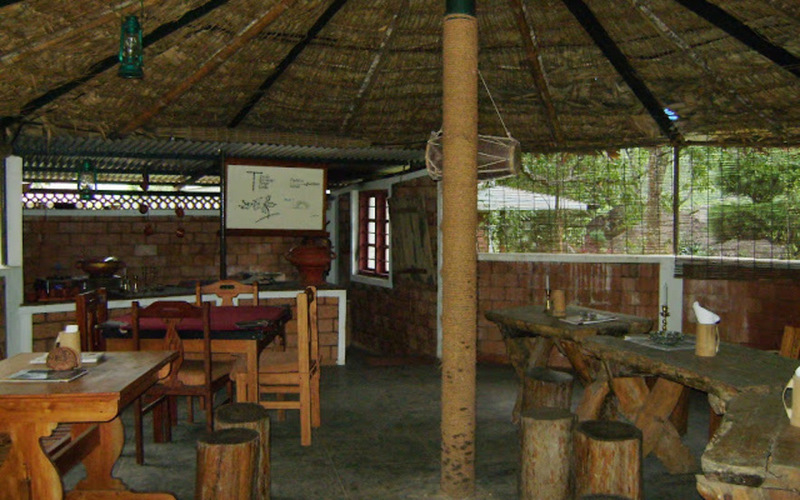 Pine Top multi cuisine restaurant offering European cuisine, a coffee shop called The Hut. There is a tea shop, which is referred to as the hut, we have tried to recreate a local tea shop of a kerala village, with tea being served in glass tumblers instead of cups, and hot kerala snack. 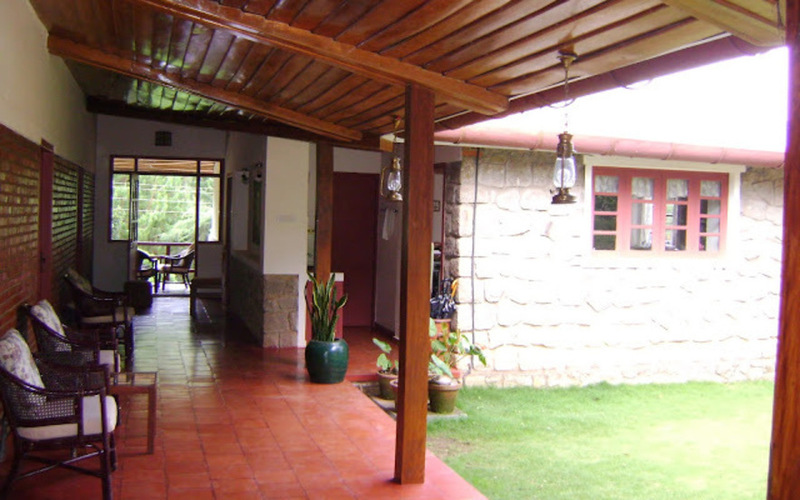 This is a nice place to share travel experiences with other guests in the property. 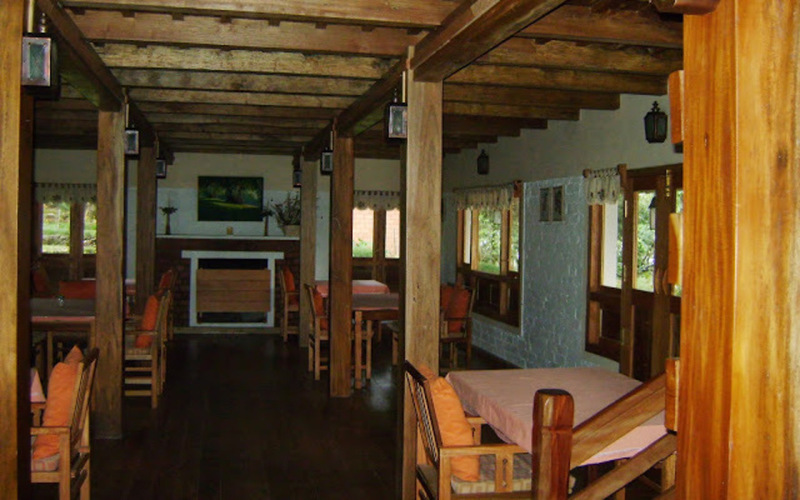 The Dinning is in an alpine chalet like building called the Barn, All meals are table serviced and the menu is designed to be a pleasing mix of Indian and Continental food. Above the dinning is a cozy reading room. 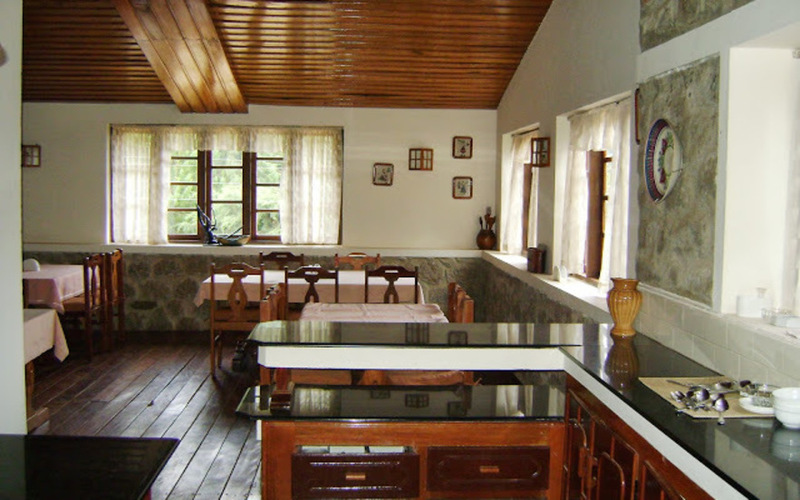 All rooms at the property are almost individually styled and is in keep with the old plantation houses of Munnar, they are simple and rustic. 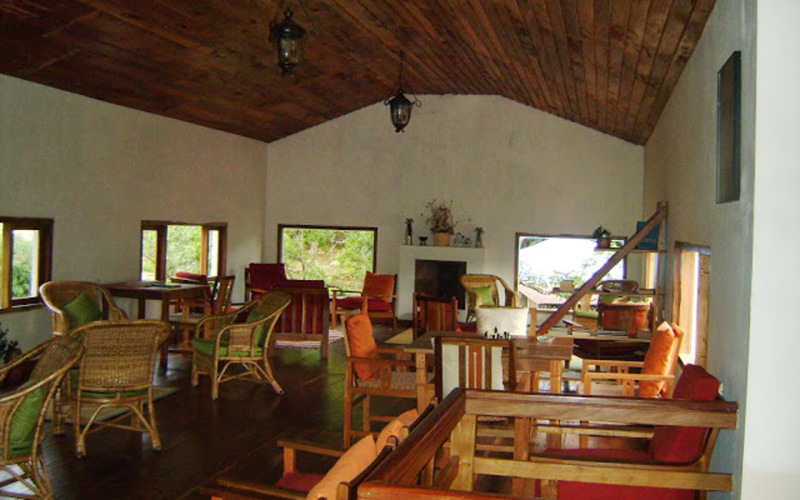 In Total there are 05 blocks to which we refer as Coffee, Vanilla, Cardamom, Tea & Planter's house. In each block you would have 02 rooms in the lower level & 02 rooms in the upper level, given the terrain of the land all rooms are open to ground. The rooms in the lower level are about 400 sq ft and are refereed to as Garden room and the upper level rooms, which are about 600sq ft are the Cottage rooms. 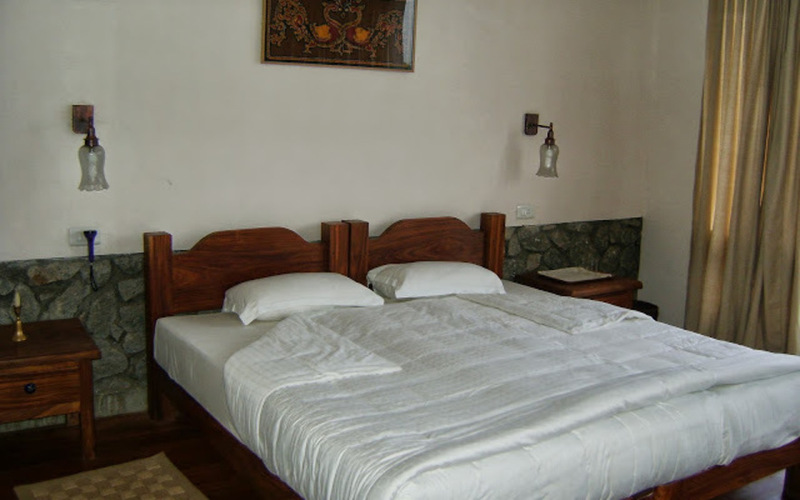 The suite rooms are called as the Planter's Villa rooms, which are about 1000sq ft. 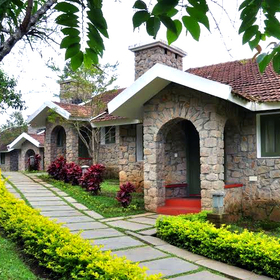 There are 02 Planter's Villa rooms, 08 Cottage rooms & 08 Garden rooms.Only the Cottage & Planters Villa rooms can be provided with an extra bed.